The Airborne Wind Energie Book is available. Uwe Ahrens graduated in Aerospace Engineering from Technical University Berlin. In 1989 he founded the medical company aap Implantate AG for which he acted as long-time CEO. Having established a patent basis for a rail-based Airborne Wind Energy conversion technology, Ahrens founded NTS Energy Systems in 2009. In 2012, the company successfully demonstrated the core functionality on a linear test section. Moritz Diehl studied physics and mathematics at the universities of Heidelberg and Cambridge. In 2001, he received a PhD degree for his research on Real Time Optimization for Large Scale Nonlinear Processes, at the Interdisciplinary Center for Scientific Computing (IWR) of Heidelberg University. 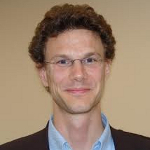 Since 2006, Diehl is a professor at the Electrical Engineering Department (ESAT) of Leuven University. He is the Principal Investigator of the Optimization in Engineering Center (OPTEC) and of the ERC Project HIGHWIND. Diehl's research focus is on control and optimisation of nonlinear constrained systems, with a focus on Airborne Wind Energy applications. Roland Schmehl graduated in Mechanical Engineering from Karlsruhe University. In 2003 he received a PhD degree for his research on computational modelling of multiphase flows and liquid droplet dynamics. Following a post-doctoral research fellowship at the European Space Agency (ESA), he worked as software architect for TNO Automotive Safety solutions, developing fluid dynamic simulation methods for airbag deployment. 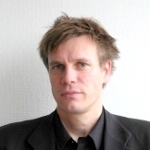 In 2009, he accepted his current position as head of the kite power group at Delft University of Technology. Next to leading a pioneering development team, his research focus is on the computational modelling of inflatable membrane wings. Schmehl is associate professor at the faculty for Aerospace Engineering. The X-Wind test track has been granted by Investitionsbank Berlin in cooperation with Europäischer Fonds für regionale Entwicklung (EFRE).